We'll be living it up in NOLA in October during our Getting to Happy retreat. But whether you join us or not, you'll get a taste of the Big Easy with this local favorite, paired with our October Inspirational selection, The Sisters Are Alright. Check out our recipe for The Hurricane below. Fill cup with ice. 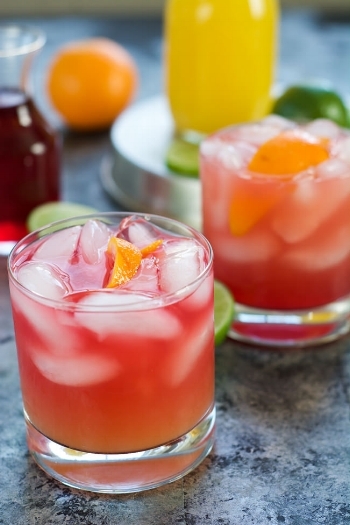 Mix the rums, juices (including the lime) and grenadine in an ice filled shaker. Shake until well mixed. Strain into the ice filled cup. Garnish with orange slice. PROTIP: Make it easy. Skip the juice and grenadine and order Pat O'Brien's Hurricane cocktail mix instead. Just add premium gold rum and voila!